The JV will be playing here at 4 o’clock on Monday. The Sophomore game has been canceled. 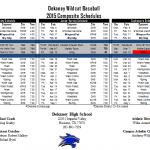 The Varsity game scheduled for Monday will now be played on Tuesday at Humble 4 o’clock . 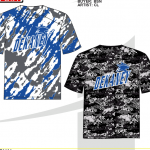 Baseball Tryouts will be held Friday, Saturday and Monday. (January 30th, 31st and February 2nd) Friday and Monday will be from 2:45PM to 5:30PM and Saturday will be from 9:00AM to 12:00PM. Go Wildcats!! 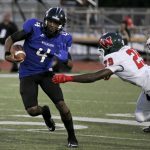 Tryouts for Football Players will be held at Dekaney High School on Saturday, November 7th, 2015, from 8 am to 11 am. THE SHIRTS ARE IN!!!! LIMITED SIZES THEY ARE GOING FAST!!!! THE COST IS 20 DOLLARS A SHIRT. 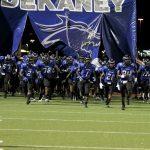 Come out this Friday, October 24th and support your Dekaney Wildcats as they take on the in-distract rival Westfield Mustangs. 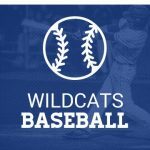 The game will start at 7:00 p.m and will be held at Leonard George Stadium (19428 I-45, Spring TX, 77373) Wear your blue and help the Wildcats beat Westfield! !